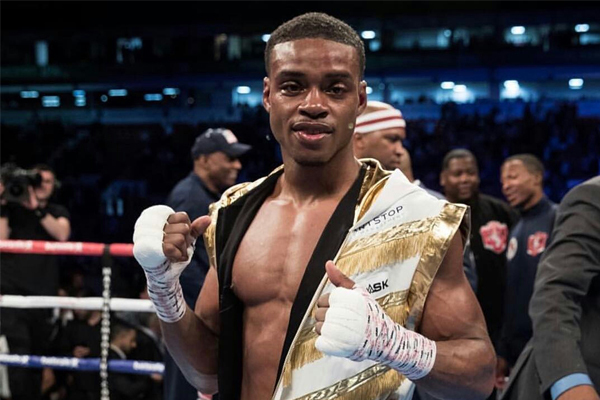 After dismantling Lamont Peterson Saturday night in Brooklyn, Errol Spence Jr. has to be viewed as the top fighter in the welterweight division. And it is probably time to start giving him a spot on pound-for-pound lists. Was Peterson, age 33, past his prime? Perhaps. And even at his best, he has always been a notch below elite. But he is an extremely experienced veteran, always game, with world-class skills. He lost to Danny Garcia by majority decision–it was a highly competitive fight that I thought he deserved to win. Garcia, in turn, lost to Keith Thurman, the welterweight division’s other top undefeated star, by split decision. In his previous fight, Spence knocked out Kell Brook. Brook’s best win, like Thurman’s, had come over the tough-nosed Shawn Porter. Both Brook and Thurman cleanly beat Porter, but in competitive bouts. I do not put a ton of weight on this kind of boxing algebra. Each matchup is unique. The fact that Spence stopped one fighter who was competitive with a fighter who was competitive with Thurman does not prove that Spence would beat Thurman. The fact that he knocked a fighter who performed in a similar manner to Thurman against a third fighter does not prove that Spence would beat Thurman. But it is certainly enough to justify ranking him ahead of Thurman. Rankings, of course, are ultimately irrelevant. What matters is what happens in the ring. That is why Errol Spence Jr. vs. Keith Thurman needs to happen by the end of 2018. The welterweight division has always been one of boxing’s glamour weight classes. It needs a true World Champion. The winner of Spence and Thurman would deserve such recognition.